At El Cacha we aim to create an atmosphere of sheer enjoyment of dance, no matter what level the dancer. Share the floor without barriers or a sense of competition and simply dance for the joy of it. ​Since our inception in 2003 El Cacha has enjoyed a strong reputation in Tango circles in Cape Town and we continue to play our role in the development of Tango in South Africa by offering classes and promoting the Cape Town Tango Community. We hope that you will take your curiosity further and explore the world of Tango. El Cacha was founded by Mareli Schröter, Nur Dreyer and Cherona Dreyer in 2003. ​and has since taken over El Cacha in Cape Town. Jackie has an extensive dance background and was trained in Cechetti Ballet as well as Modern Jazz. She found her true passion in the Tango after taking her first lessons with Mareli in 2003 and soon after travelled to Buenos Aires to experience Tango culture. 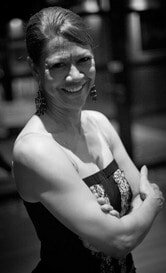 Over the past years she has trained with many great Tango masters including Juan Carlos Copes and Johanna Copes, Milena Plebbs and the late Osvaldo Zotto. She was also part of the El Cacha performance team and has danced in El Cacha's past performances including "El Beso" and "Tango Portraits". Jackie regularly travels to the Netherlands to further her own style of dancing and teaching with Eric Jorissen. The aim of this class is versatility, sensitivity, balance, power and above all else to have fun, be in the moment and enjoy dancing. ​We go back to Tango fundamentals in this class. One hour private classes can be arranged on Wednesdays and Thursdays.